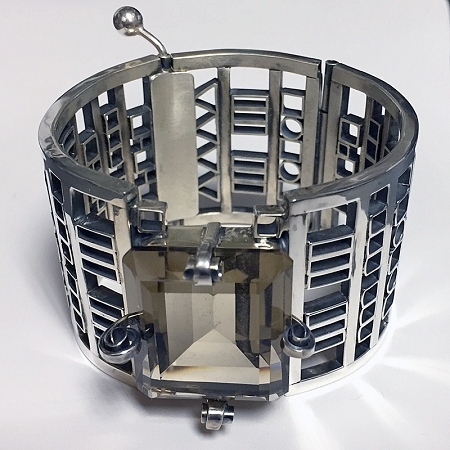 Cubist Jewelry - This is a wide sterling silver geometric bracelet that is created from various shapes of silver tubing.The dramatic handmade cuff has a pin closure and features a large faceted emerald cut Smoky Topaz Cabochon. 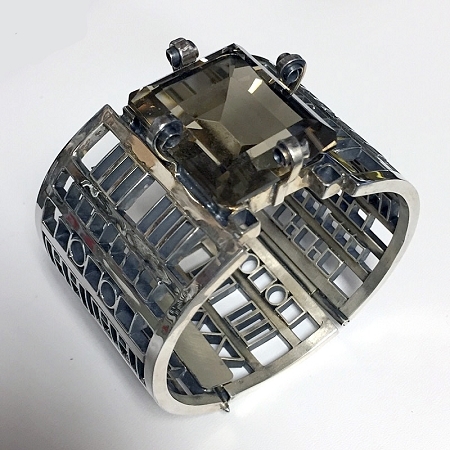 From our Cubism Collection, this is an exquisite handcrafted sterling silver bracelet that is bold and beautiful and makes a statement.The cuff bracelet is constructed from sterling silver tubes of different sizes and shapes soldered together individually within a frame and oxidized to bring out the highlights. 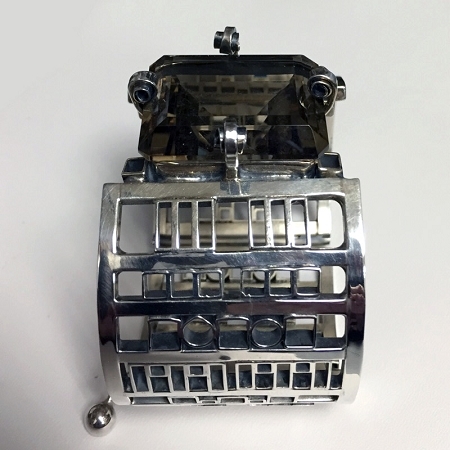 A pin closure allows the bracelet to fit somewhat snug on the wrist or arm to avoid the bracelet from turning and to stay secure. The bracelet features an emerald cut Smoky Topaz, also known as Smoky Quartz, that is set using Aaron's special style of prongs. This Bracelet is approximately 2" wide. 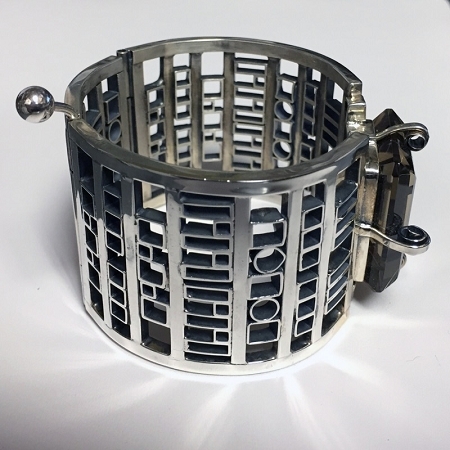 This Bracelet will fit up to a 7" wrist. The Smoky Topaz is approximately 1.13" long x 1" wide (30 mm x 25 mm). Smoky Topaz helps promotes relaxation and eases tension. It helps give renewed strength to overcome grief.